Where is UMNO and PAS when Tun M ban Israeli athletes? 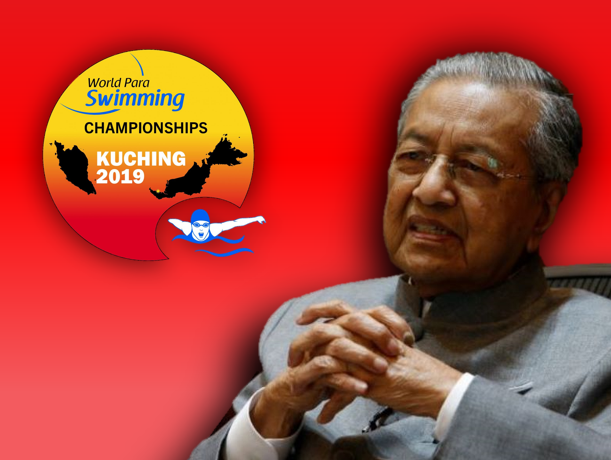 Early January, Malaysia Prime Minister Tun Dr Mahathir Mohamad banned Israeli athletes from entering Malaysia to participate in the upcoming 2019 World Para Swimming Championships. He reaffirmed his decision on the ban despite receiving numerous condemns. Consequently, Malaysia rights to host the championship was stripped by the International Paralympic Committee (IPC). The championship was supposed to be held at Kuching from July 29 to August 4. 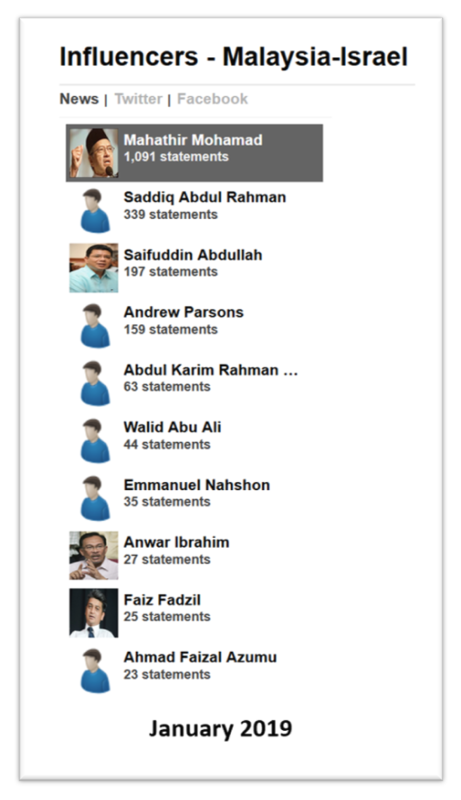 From the influencers list of the topic “Malaysia-Israel”, Mahathir is the politician who talks the most with 1,091 statements. Meanwhile, Youth and Sports Minister Syed Saddiq came out second by supporting the premier decision with 339 statements. We can see a huge difference in the amounts of their statements. Foreign Affairs Minister Saifuddin Abdullah also backed Mahathir’s stance in banning the Israelis from entering Malaysia. Thus, he took the third position. Meanwhile, Anwar Ibrahim only gave 27 statements regarding the issue. But he seems to be playing it safe his statements. Rather than saying that he is opposing the ban, he said that the cabinet must have a thorough discussion on the matter before issuing the ban. Another thing to take note is that none of the politicians from UMNO nor PAS became the top influencers in addressing the issue despite one being a Bumiputera party and the other is a Muslim party. Both parties were active in attacking Pakatan Harapan for the ICERD ratification matter last year. It even resulted to a protest rally. UMNO and PAS nit-picking on Harapan’s action are obvious. Yet, we can’t deny the fact that they are the opposition and it is their duty to attack on the government’s action that they think is wrong. But how about some acknowledgement for the government’s action that they think is right?